The National Treasury Circular dated 25th September 2017 directed budget reduction on the current budget due to low performance of revenue and emerging priorities namely repeat of the Presidential election, insecurity, drought response measures and Government of Kenya counterpart funds requirement. Consequently, the Judiciary Training Institute (JTI) budget has been revised downwards by about 75%. This has affected most of the activities at the Institute and Judiciary at large. This has led to revision of JTI Training Calendar to downscale trainings. 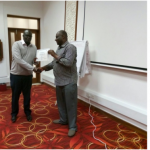 Major activities affected include sponsorship of Judicial officers and staff attending various courses at Kenya School of Government and the Sports Day which usually occurs in the month of May every year. For the 2017/2018 fiscal year, the Annual Sports Day has been removed from the JTI Calendar of events. One of the mandates of JTI is to conduct Continuous Judicial Education (CJE) for Judges and Judicial Officers. Further, JTI is mandated to prepare and implement training programmes for staff of the Judiciary. During the 2016/17 financial year, various CJE programmes were rolled out for Judges and Judicial Officers focusing on Electoral Dispute Resolution. In relation to staff of the Judiciary, JTI facilitated induction programmes for approximately 1500 new staff. 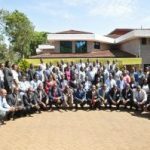 For existing staff of the Judiciary, the institute facilitated 356 Judicial officers and staff to attend Kenya School of Government trainings. These KSG trainings were partly promotional and aimed at enhancing the skills and competencies of the participants. To learn on the KRA electronic filing system. 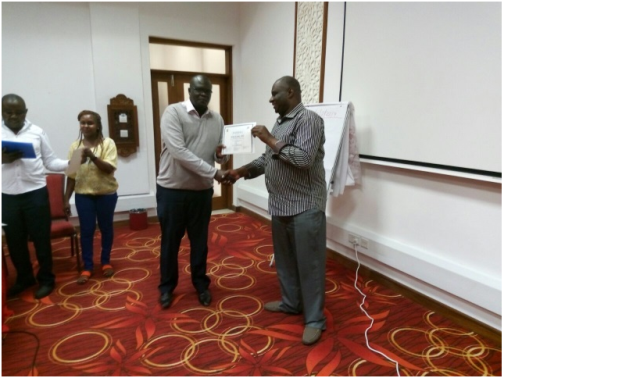 Training Needs Assessment (TNA): With the transforming Judiciary and the launch of Performance Management System in 2015, JTI jointly with the Directorate of Human Resource & Administration has taken strategic initiative to delve deeper into ways that enrich competencies, capabilities and potential of Judiciary employees. With the successful assessment of Training Needs of the Judiciary workforce, it is believed that the Judiciary will be in a position to better evaluate its trainings outcomes with a view optimizing its resources towards meeting the strategic training needs. 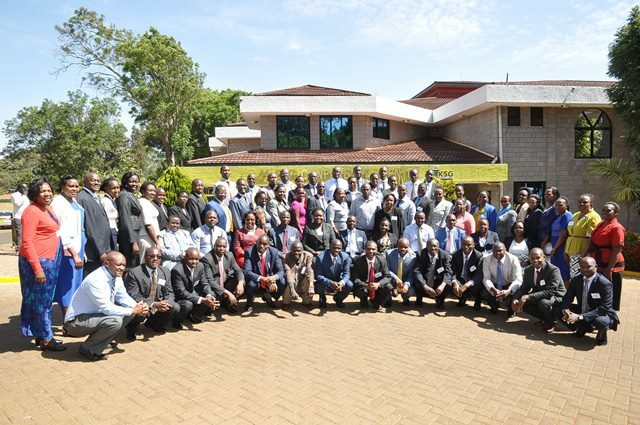 Reduction of Case backlog: The overall objective of this task is to develop a working tool for study and to conduct the study and develop a workable, largely resource-neutral, strategy for clearance of case backlog in the Superior Courts of the Kenya Judiciary, being the High Court and Courts of equal status as well as the Court of Appeal. Justice Needs Survey (JNS): This program aims at researching on what a common citizen needs and faces from the services offered to them by the Judiciary. This will help in developing polices and structures that would solve the discrepancies. 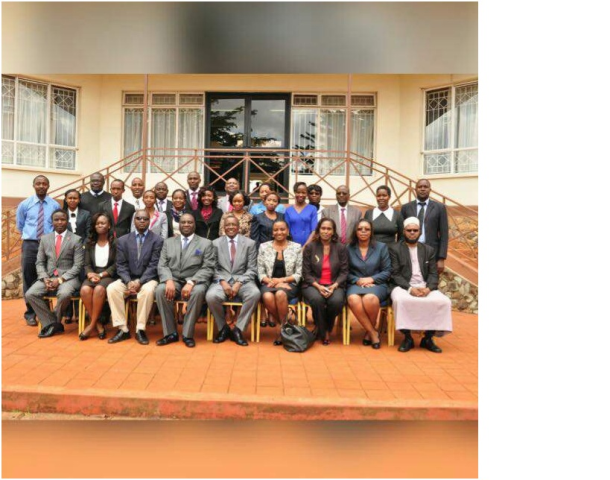 During the 2016/2017 financial year, the Judicial Service Commission in order to enhance the human resource capacity of Judiciary, recruited over 1200 Judiciary staff. The staff includes secretaries, clerical officers, court interpreters, ICT officers and archivists. JTI has been conducting inductions for the new staff in the batches of approximately 250 participants. Effective communication in the workplace & customer care skills. To appraise the law and practice of temporary injunctions. To appreciate the Performance Management and Evaluation. To indicate the emerging jurisprudence for Labour Court and stakeholders view. During the workshop, the election of the Principal Judge was conducted and Justice Maureen Onyango from Kisumu Law Courts was elected. 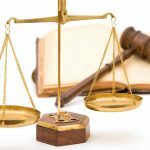 To understand the proposed amendments to the ELC Act and practice directions for the Magistrate Courts. At the end of the workshop, the Hon. Justice Samson Okong’o was duly elected as the Presiding Judge for the Court. JTI negotiated performance targets and performance contracts with PMMU during 2016/2017 financial year to cascade the contents of the contract to the staff of the institute. The purpose of this Understanding is to enhance accountability for results by focusing on delivery of the mandate of the Institute and forms the basis for continuous improvement for the transformation of the Judiciary. This understanding establishes a framework for clear performance objectives, goals and targets for the Judicial Training Institute and its staff whereby the Director, Judiciary Training Institute submits monthly, quarterly and annual performance reports, based on the performance indicators and targets of every individual and department in the institute to the Chairman JSC, and/or his designated representative. The reports shall be accurate, timely and submitted in the specified reporting formats for purpose of monitoring progress of performance and for annual evaluation.